Large garage space available in a peaceful and convenient location. Garage has got many inbuilt shelves for organised storage. 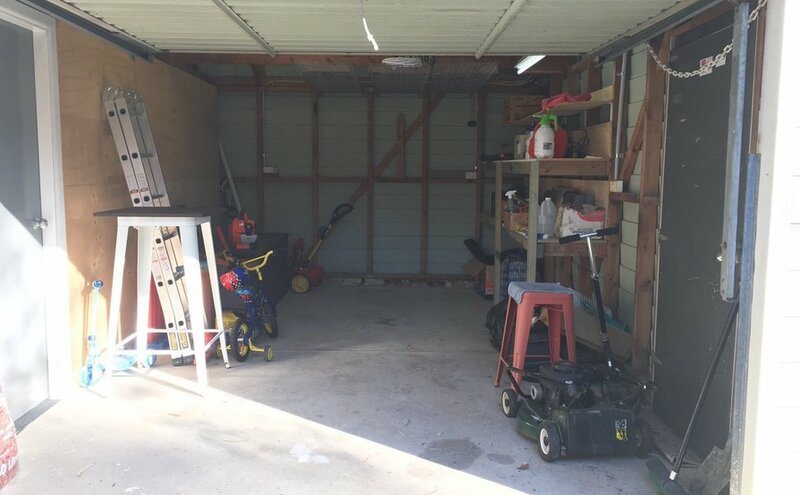 The photo is taken with some items in the garage but all items will be removed prior to renting it out. Rental will be approved only after declaring the goods that they want to store. Minimum activity is preferred. Ideally once or twice a week access. No heavy vehicle are allowed on the driveway.